I always love featuring fresh ideas about storage on Brit Decor because it's oh-so relevant to many of us in this age of 'things' and 'stuff' that we now live in. 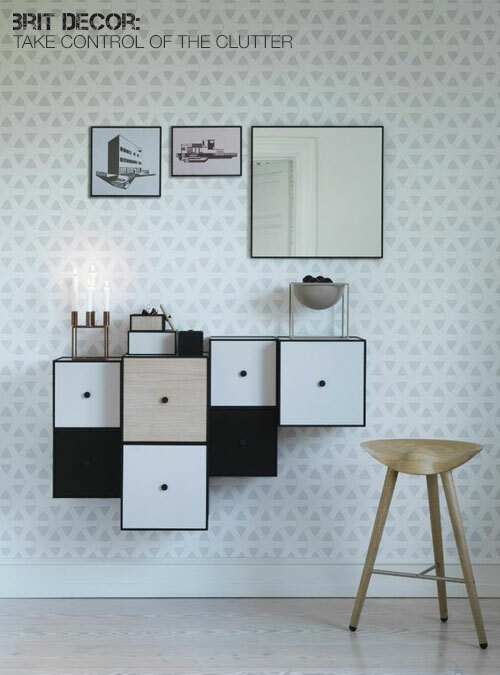 Thankfully, storage is no longer just about a process of packing up select items and storing these away in cardboard boxes, instead it's about a whole new wave of stylish alternatives, many of which you will actually want to keep out on display rather than hide away. In a funny kind of way, storage has become a new form of artwork don't you think? Ferm Living's simple and chic look is clearly evident in their 'Half-Moon' basket (no.1). Storage bags and baskets are so versatile and perfect for that softer, more relaxed look. 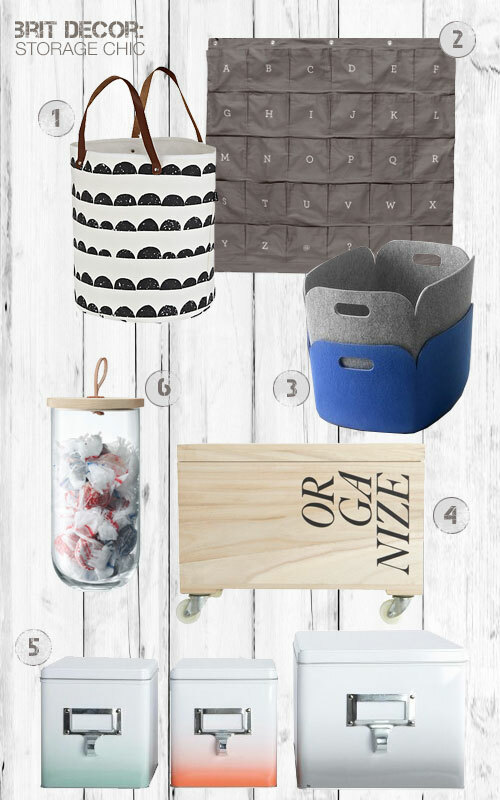 Scandi-style is one of my favourite when it comes to beautiful storage alternatives like this striking charcoal grey 'Wally' wall organiser from Skandivis (no.2) which is great for organising clutter in a truly stylish and minimal way. The concept of turning to boxes and tins for storage purposes is nothing new, however, the fresh blonde graphic look of Rose & Grey's clever 'Organize' box on wheels (no.4) is very current, as is the trending ombre-effect of this set of three tins from Idyll Home (no.5). 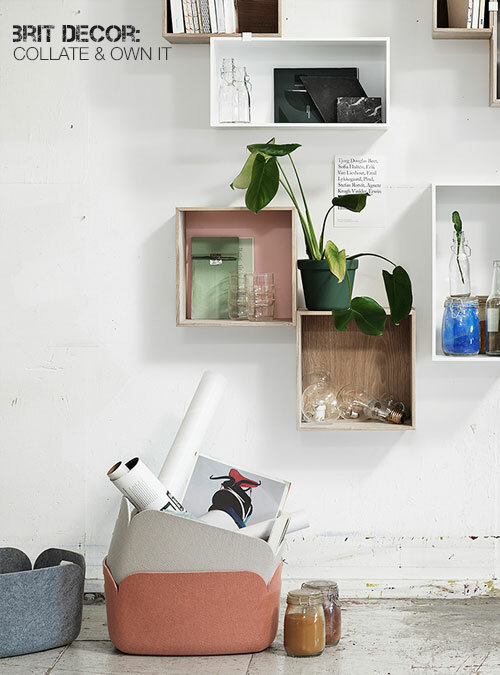 Finally, I stumbled across LSA's new range of 'Ivalo' storage containers last week and fell in love with their simplicity and style (no.6), proving that not everything needs to be hidden away.